Finding the right music for your wedding is another crucial part of any bride’s wedding planning list. There are a lot of songs you can choose from to make your first dance as well as your walk down the aisle more fabulous. 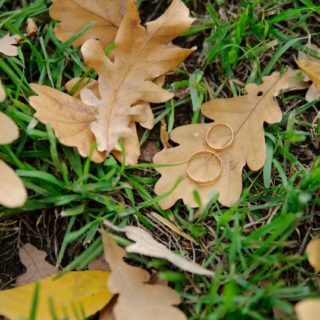 But if you are not looking for something more general and related, here are some choices if you are planning for Autumn to Summer wedding. 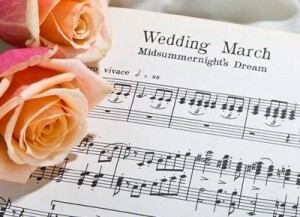 Choosing your wedding music is one of the most important parts of the planning the wedding. Wedding music is usually played during the ceremony and any of the festivities that happen before and after the main event. Wedding music can be either performed live by wedding singers or orchestra, or one can use pre-recorded songs. 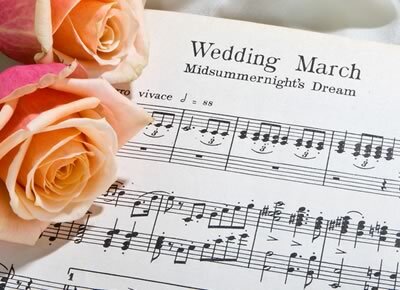 Your choice of wedding songs can set the entire tone of your wedding. So it is important to take time on creating your wedding playlist. We have listed some tips you can bear in mind while doing your list. Choose songs that best suit you as a couple and the type of wedding ceremony you want to perform. Usually, traditional ceremony calls for time-honored classics. But, new trends of using contemporary music are not excluded. It is always important to add that special song you as a couple favor. This is your day so that special song needs to be on it. Consider the type of location your wedding will take place. Several music instruments may not work well on a specific location. Consider the duration of the entire ceremony. Take note as you will need it to decide on how many songs you should put on your list to cover it. If you have friends that would like to perform solo or play an instrument, then add that to the list. These types of music presentation add highlight to the event. Practice makes perfect. Even the wedding music playlist needs to undergo practice. If you are not really keen on doing the job yourself, do not worry. 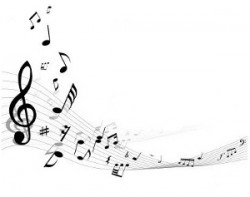 There is a lot of wedding music specialists available on the market. If you should decide to do it yourself, you may want to browse wedding music sites to be able to hire musicians. If you are going to hire bands or DJs, provide specific instructions on your music likes. First things first – what’s allowed? Some venues (particularly historic houses) say that they will only allow “acoustic” music. However each local authority interprets the entertainment licensing laws differently, so ask what this really means. It may mean that the venue is not allowed any electrically amplified instruments at all, or that it’s OK to use a small amount of amplification (such as amplifying a singer’s voice to match the sound level of another acoustic instrument like a saxophone). Is amplified music allowed out of doors? Patios and gardens are obvious choices for drinks receptions during the summer, but some venues are not allowed to have amplified music of any kind played out of doors. This again relates to how the entertainment licensing laws are interpreted. If in doubt, ask! What time must the music stop? This varies from venue to venue and may even change on different days of the week! It’s important you know this because if you book a band to play for three hours from 9.00pm and the venue has a “stop playing” time of 11.30pm, you could lose half an hour of music you have paid for. What space is available for a band? The venue will be able to give you details of the available space and perhaps a floor plan too. If your chosen ensemble hasn’t visited the venue before and you are unsure whether they’ll fit into the space, see if they can visit the venue beforehand to check out the space available, or phone the venue to discuss the available space before you book them. If they are an experienced professional group they should know how much space they need and be used to talking to venues. Will the band have to plug into a sound limiter? Some venues have sound limiters to cut off the electricity to the group’s amplifiers if the music becomes too loud. Some bands don’t like to plug into these because if the power is cut off, it wrecks all the presets they have set up in their equipment (particularly pre-recorded backing tracks). This raises a couple of questions … the band might be extremely loud (not great for conversation, which is a big part of any wedding) and do you want a band that relies on pre-recorded backing tracks? It doesn’t mean the band won’t be any good, but their performances may be very loud and not as “live” as you first thought. 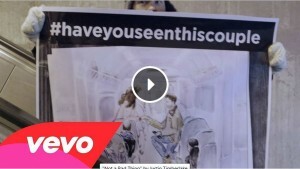 What can live music do for my wedding? Live music can create a wonderful background and atmosphere for any part of your wedding day. Everyone is so used to music coming from iPods, CDs etc… that it is a real treat to experience something “live” … particularly if the musicians are performing just for you! Decide which part of the day you’d like live music for and think about the sort of atmosphere you would like to create. Walking down the aisle to the accompaniment of live music will make any girl feel like a fairytale Princess! A fantastic way to make a “big entrance”, this will set the scene for the rest of the day. You can either get your musicians to play as your guests arrive (a lovely way to welcome friends and family) or have them play first of all as you make your entrance (which probably has more impact). It’s up to you. You could discuss the pros and cons with the groups you are considering – it may help you to decide which group to book. Check with the vicar or registrar about any restrictions regarding the music that can be played during the ceremony. You can’t usually have religious music at civil ceremonies, but the rules have been relaxed recently, so double-check this with your registrar. What style of music you choose will probably depend upon your choice of venue. If you are getting married in church you could opt for the church organ but you could consider having other types of live music in the church too. 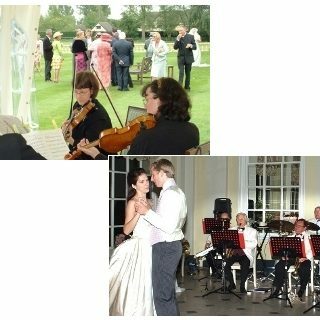 If you are having a civil ceremony then you’ve probably got more flexibility with styles and the musicians could play afterwards at the drinks reception too. Talk through your ideas and any concerns with the groups you are considering – again this may help you decide who to book as you learn more about their experience and the way they respond to your ideas and wishes. Live music during your drinks reception and photography is great because it keeps guests entertained whilst you are busy with wedding photography, is a good talking point and creates a relaxed atmosphere. Whatever you choose shouldn’t be too loud (you don’t want to drown out all conversation) but still needs to be interesting and uplifting. Weddings are a joyous occasion and the music should reflect this and also appeal to a broad range of tastes and age groups. Background music is a classy accompaniment to dining and is a good conversation point, which is useful if you have guests sitting together who don’t know each other very well (they can talk about the music if nothing else!). Again the music shouldn’t be too loud, and appeal to a wide range of ages. This is probably the biggest challenge of all. You’ll need to think about what you want to achieve – do you opt for something that will suit your more lively guests or something that will appeal to the majority? Many people may want to dance, but perhaps not all evening. You may have guests who want to do some more traditional dance styles (waltz, foxtrot etc…) Some of your guests might just want to sit and chat, so it could be better to have something that you can dance to but that is also good to listen too as well. If you’re really pushing the boat out you could consider having live music and then have a disco afterwards for those lively souls who want to carry on dancing all night long (venue permitting). Discuss the options with your partner, friends and families before searching for groups who could possibly help you. The best advice is to book in plenty of time! Start looking at potential groups as soon as possible, as some will get booked a year or more in advance. To ensure you have plenty of choice, ideally give yourself at least 8 months before your wedding day. Ask bands and ensembles to send you information, demo CDs and quotes for you to evaluate. Websites are good for gathering information but you can probably tell a lot more about a group by the information they send to you. Listen to the CDs, read through all the information and review the play lists to see if they can play the type of music you want. Some bands have set play lists (probably playing a standard set of numbers for most of their performances), whilst others are more flexible and you’ll be able to choose specific tunes from their play list. 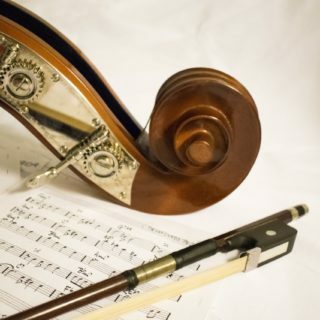 You may want a particular piece of music to be performed, but don’t automatically assume that the group will be able to play it. If you do want a particular number make sure you ask the group well in advance – perhaps even before you book if it is especially important to you. Ensure you have a written quotation, covering everything – the band’s fees, travelling expenses etc… Some bands may charge extra for PA equipment or lighting, so make sure your quote includes everything you need. Check the band you like is available. Choosing a band can be tricky because there are loads of groups – some are amateur, some call themselves “semi-professionals” and there are the true professionals. There will be a difference in performance and service standards between all of these, with the professionals obviously coming out on top due to their greater level of training and experience. If you opt for an amateur or semi-professional group it might be absolutely fine, but it’s not unheard of brides doing this only to be let down near the big day because the band has broken up, they have taken on a more lucrative engagement at the last minute or on the day they do not offer you the level of service you were hoping for. This is far less likely to happen with professionals who rely on music for their living, and should give you a better performance, better level of service and far greater peace of mind. Whatever band you opt for they should issue you with a written contract well in advance. Ask them to confirm that any electrical equipment is fully tested and that they have public liability insurance. Some venues may also ask to see the group’s Health and Safety statement too. Once you have a written contract and have received confirmation of the booking you’ll need to finalise what the musicians will play for you. If you’re having background music, then the choice of individual tunes probably isn’t so vital, but you’ll definitely want to choose the music for the ceremony or your first dance. You’ll probably have plenty of ideas in mind, and your bandleader should also be able to offer advice too. Sarah is a partner in The Mad Hatter Bands who are specialists in arranging live music performances for weddings and events all over the UK. The company, which has been established for over 10 years, is run by Sarah and her partner Robert Stevens. They work with a team of dedicated professional musicians with who they have known for many years. Unlike many agents, Robert is also an accomplished working musician and therefore fully understands the pitfalls that many less experienced agents tend to overlook. If you need advice about choosing the music for your wedding then please get in touch and we’ll try to help you. One of the most important aspects of your wedding day will be your choice of music. The memory of your wedding will be with you for the rest of your life and the soundtrack on the day is something you are least likely to forget. Time spent now researching your choice of wedding music will be rewarded on the big day by creating the right mood and atmosphere throughout your ceremony and reception. You should consider the type and size of venue as well as the number of guests and the age groups represented. Your choice of music may not go down well with older guests and you should try to please as many people as possible, whilst not playing too safe and having music which is bland and uninspiring. A good tactic is to mix and match a variety of music which will appeal to each generation throughout the day. If you are using the church organist for your wedding have you checked that they are comfortable with your choice of music and have they played it before? Try and arrange a rehearsal, if you can? Check the quality of the music system at your venue, if in doubt, a few pounds invested in hiring a decent system will pay dividends on the day. If you are hiring a DJ, check with people or venues he or she has played at before and ensure that your reception venue can accommodate the necessary equipment. Don’t try to do everything yourself! It’s a good idea to nominate one person as the musical co-ordinator. They should check that all the equipment works and keep track of all the records/CDs, as well as liasing with the different performers/DJ to make sure everything goes to plan. Music as your guests arrive – something cheerful but unassuming works best. Hymns – it’s best to go for hymns that are well known so that everyone feels included. During the signing of the register – the choir or soloist should sing one or two pieces during the signing of the register, usually accompanied by the organist. If you are having music instead then it should be quite and gentle. Since civil ceremonies were first introduced, music with religious references has been prohibited. Until recently, songs such as Angels by Robbie Williams would have been considered to have pious lyrics and would not be allowed. The rules have recently been relaxed, but sacred texts and hymns are still barred. Register office ceremonies tend to be fairly short so you should try and provide something suitable as guests arrive and depart, but check with the registrar in advance. Different offices will have different policies but usually they will try and accommodate your wishes. Ceremonies at licensed venues offer greater flexibility though you should check with the registrar before finalising your arrangements. Also, check with the venue that they are able to accommodate your choice of music. If you are planning to have live music at your venue you should check that they have an entertainment licence which allows this. It’s not uncommon nowadays for couples to opt for a hired band, DJ, or orchestra to play at their wedding reception. There are many music agencies which cater for this and your wedding or reception venue will have some contacts in this area. Be careful though, as they are likely to have some kind of professional relationship with the band or DJ suggested, so try get a a personal recommendation or do some research first. The first dance is a tradition at the wedding reception and, no doubt, you will have your own favourite tune. 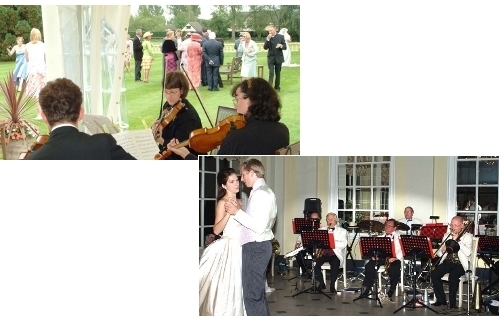 Wedding music providers including DJs, entertainment agencies and music performers. Strings Aloud String Quartet – Scotland’s premier female string quartet providing classical background music for your wedding ceremony or wedding reception. Robert Greening – Pianist – Robert Greening is an accomplished jazz pianist based in Buckinghamshire. Robert specialises in providing varied and sophisticated musical entertainment for your wedding reception or event. Groovething: Wedding and Party Band for Hire – The perfect function band choice for wedding entertainment, corporate functions or private parties!